Samostoječi obešalnik, prašno barvan z epoksi barvo. Obešala iz tehničnega polimera z obročom za dežnike in integriranim odcejevalnikom v podstavek. 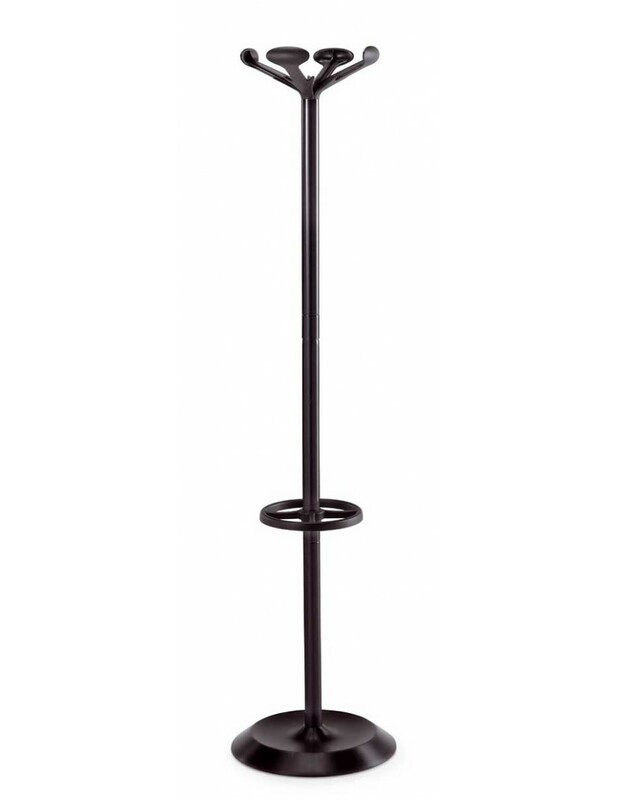 Eva silver painted steel coat stand. 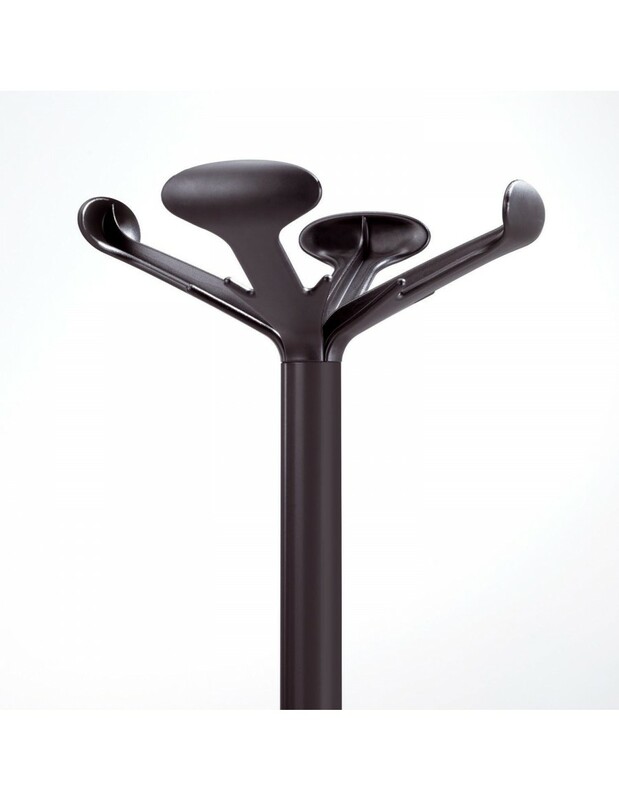 Removable technopolymer umbrella stand. 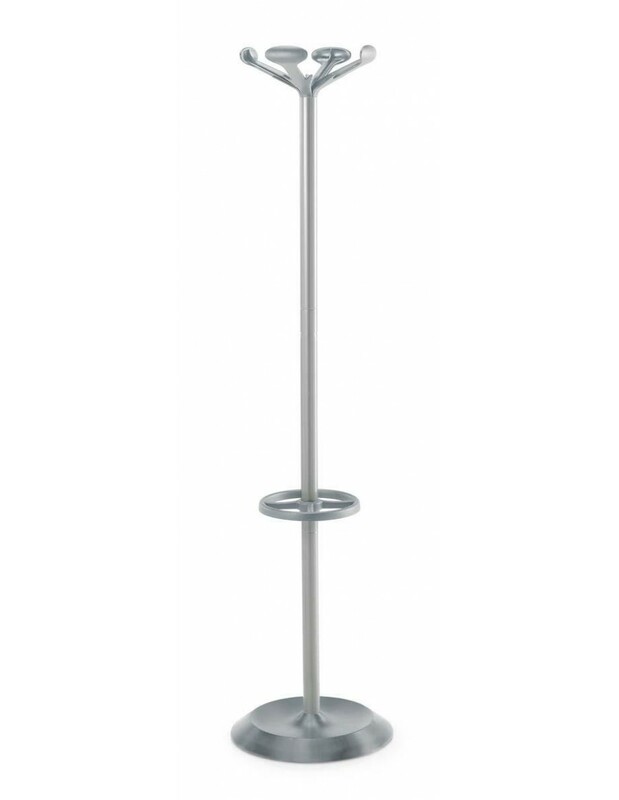 The structure of the umbrella stand is made up of three steel cylindrical tubular elements with a section of 4 cm, available in a black or silver grey painted finish. 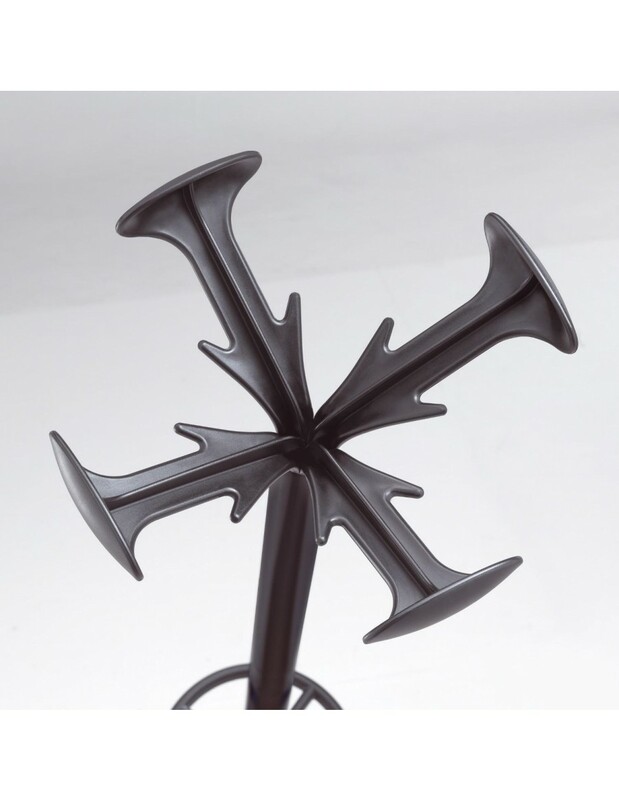 Eva has a circular base with integrated dip tray and head equipped with 12 hooks, both of which are made of black painted technopolymer. 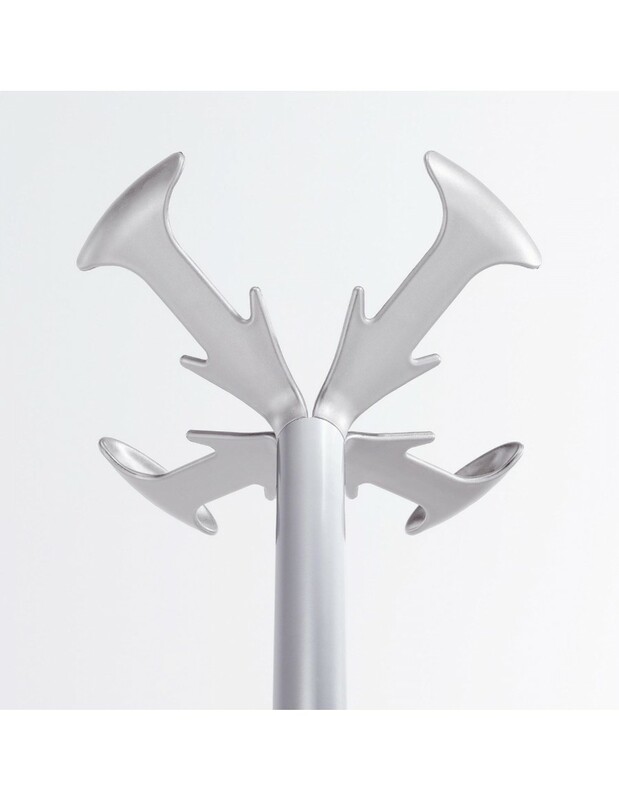 The head is composed by four hooks, each of which is equipped with 1 knob and 2 hooks. 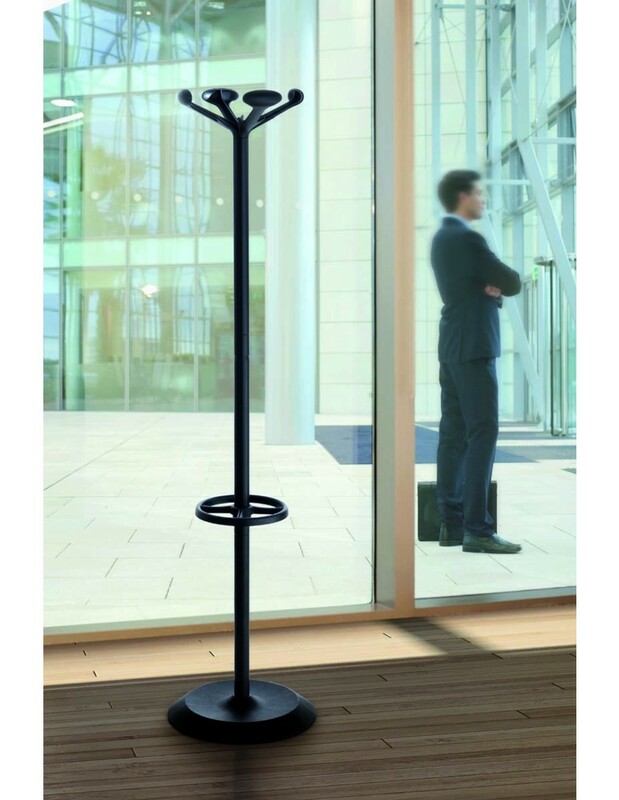 The product comes with standard umbrella stand ring which can be easily removed, as it is simply pulled on the tubular structure. Ni mnenj za "Eva prostostoječi obešalnik"